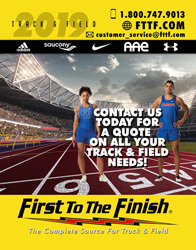 The Spitfire is an entry level sprint spike with a sleek, synthetic upper that locks your foot onto the platform and a seven pin spike plate for added traction at top speed. Great shoes for the price. 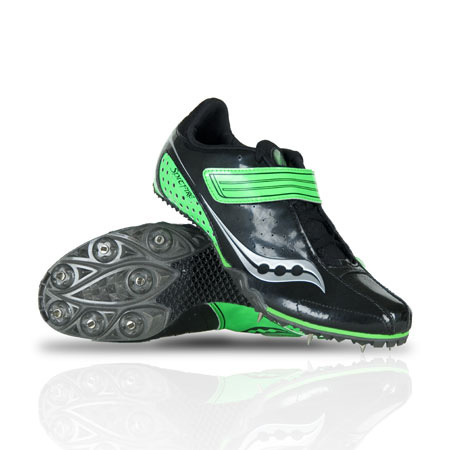 Light weight and Provides plenty of foot support especially when rounding the bend in the 200m. They are on the narrow side and I would suggest ordering at least a half side bigger. These spikes were great. They were inexpensive, but got the job done. They were light weight and had a good arch. I recommend these spikes for all hurdlers and 400m runners. The only problem was they split open after 3 years of hard training. That sounds worse than it is though. After three years, the bottom half of the shoe started to separate from the top half. A hole began to form and slowly grew. That is only because I run ran with these spikes year round for three straight years. I love this spike!Great for beginners.